A sturdy RTA mattress foundation for a restful nights sleep at a value added price! This box spring foundation technology is designed to extend the life of your mattress while evenly distributing weight, and providing support and stability that reduces mattress movement. The complete frame is wrapped in a woven polyester fabric cover. While easy to transport, this frame fits and stores in tight spaces and is ready-to-assemble in any bedroom space to suit your needs. 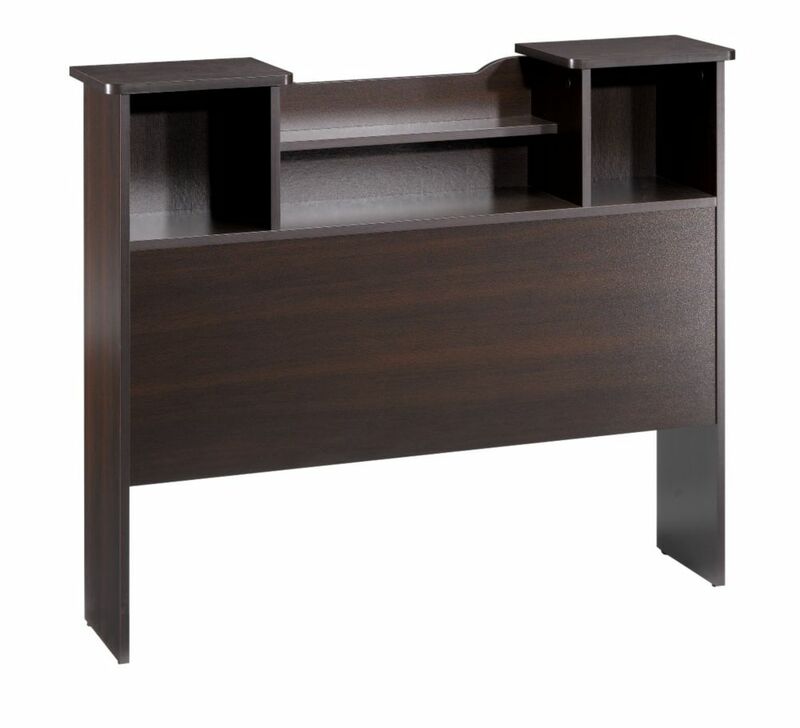 Pocono Twin Size Bookcase Headboard from Nexera Pocono Twin Size Bookcase Headboard adds handy storage and complete the look of Pocono Twin Size Storage Beds #4600 and #4669. It features 2 open cubbies and 2 centre shelves. Pocono Collection from Nexera is a timeless and functional juvenile bedroom collection offered in a rich Espresso laminate finish with decorative metal handles.